Marketplace is a platform to find or share your business-related equipment, resources, funding, workspace or land with other local business people; it has been created with the intention to grow our local economy from within. Only notices from businesses listed within the City of Casey and Cardinia Shire Council will be accepted and can only remain online for a maximum of two months before they will expire, to ensure that the notices listed are as current and accurate as possible. If you would like to make changes to your notice, please email City Economy at caseycardiniaregion@casey.vic.gov.au or on 9705 5200 and before browsing or listing a notice, please view the disclaimer. Do you have a notice to share? Wallara is a dynamic community that provides personalised support to over 400 adults with different abilities. The Marketplace section of this website is strictly for business related goods and services, personal goods and services are not permitted to be listed on this website. If it is decided that your listing is not appropriate, administrators reserve the right to not list, or remove it, from the website. The administrator’s decision is final and no further conversation will be entered into. 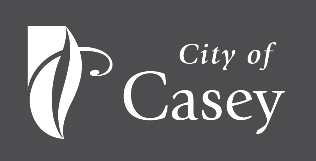 While every opportunity is taken to ensure that the information listed on this website is correct, the City of Casey and Cardinia Shire Council take no responsibility for its accuracy. Additionally, any agreement resulting from this website is the responsibility of the parties involved with the exclusion of the City of Casey and Cardinia Shire Council. Listings can be online for a maximum of two months, post this time it will be automatically removed from the website to ensure that only current, accurate content is listed. If you require your listing to be updated, please contact a member of the City Economy team at caseycardiniaregion@casey.vic.gov.au or on 9705 5467.